Between heat waves and humidity, no one wants to spend their summers standing for hours over a hot stove. If you’re looking for an easy meal, you might find it in the just-released e-cookbook from Condé Nast’s Epicurious brand and its first-ever book sponsor, Eggland’s Best, which features 20 recipes focused on that most humble of ingredients—the egg, of course. Eggland’s Best (which had previously been an advertiser on the Epicurious site) and its digital agency CL&S came up with the idea for the cookbook as a way to promote eggs as something other than a breakfast staple. 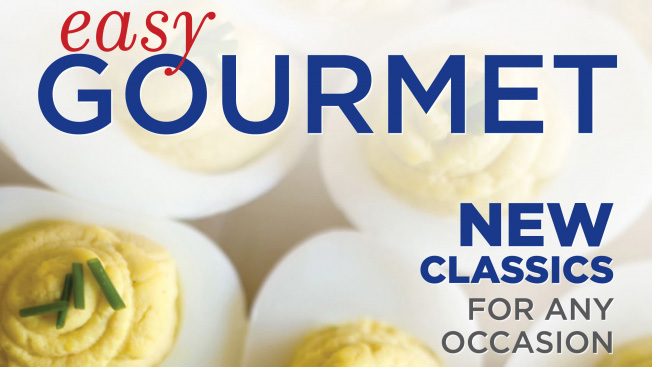 The cookbook, titled Easy Gourmet – New Classics For Any Occasion, is a mix of new content from Epicurious writers and existing content from the site and Eggland’s Best, and includes everything from appetizers and dinner entrées to desserts. While Epicurious already sells numerous cookbooks on its website, this is the first time that the brand has teamed up with an advertiser to create a free sponsored version. Through the end of August, banner ads for Eggland’s Best will pop up whenever an Epicurious user searches for the word “egg.” Those ads link to a promotion page where users can find out how to get the e-cookbook. Cooks can download the book for free (or have the recipes sent to their Epicurious recipe box) by “liking” the Eggland’s Best page on Facebook starting today.